Young British player Toby Lewis has scored the biggest win of his career by triumphing over the record-breaking 384-strong field for a payday of €467,835; a sum that dwarfs his previous largest cash for €25,000 after a seventh place finish at IPT Venice. He came to the final table as chip leader ahead of UK tournament rising star Sam Trickett and football legend Teddy Sheringham. The three Brits had the vast majority of the chips in play and it was almost a lock to have a British champion. Sheringham could do no better than fifth place after he ran his K-Q into Q-J on a K-9-T-9 board. His efforts were rewarded with €93,121; almost double his previous largest cash (£40,000 in the WSOPE for 14th place) and a hearty round of applause. 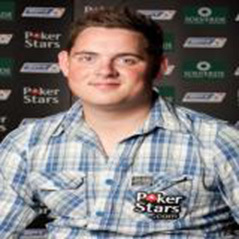 Sam Trickett could not take his first international victory due to some appalling luck at the final table. Seven out of eight times that he was all-in he was either slightly or hugely ahead of his opponent. He lost each and every one, finishing in fourth place when his JJ was outdrawn by QJ. Eventually Toby Lewis and Martin Jacobson faced off heads-up with the former at a 2-1 chip deficit. The chip lead was hotly contested but soon Lewis made a set against two pair to end the tournament and take home by far his largest poker payday.